The Boeing B-17 was designed in response to any Army requirement for a long range heavy bomber to replace the existing B-10 and B-12. Due to a crash involving the first prototype the Boeing design was eliminated from the competition, which was won by the Douglas B-18, but the basic superiority of the B-17 was obvious and a legal loophole was used to allow a small number to be procured. 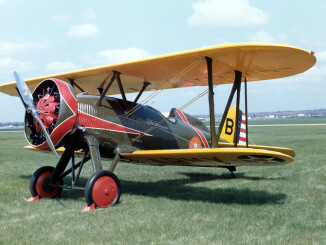 Further developments during the early war years led to increasingly capable aircraft. Unlike most heavy bombers of the age the B-17 had four engines rather than two. This allowed it to carry a much heavier load of fuel and bombs, giving it great range and destructive power. Defensive firepower was limited in the early models, but later versions featured up to 13 .50cl machine guns. Some aircraft carried H2X radar sets that theoretically allowed accurate bombing through overcast conditions. At the start of the Pacific War the largest contingent of B-17s was the Far East Air Force (FEAF), based in the Philippines, with 35 Flying Fortresses – mainly B-17C and –D models. 12 more aircraft en-route to join the FEAF but were caught up in the attack on Pearl Harbor, and were destined never to make it to the Philippines. Instead, they were diverted to India. The FEAF was largely destroyed on the ground during the initial attack on Clark Field, losing half its B-17s. The remainder were soon withdrawn to Australia, from where they attempted to launch bombing raids on advancing Japanese naval forces that were usually unsuccessful. 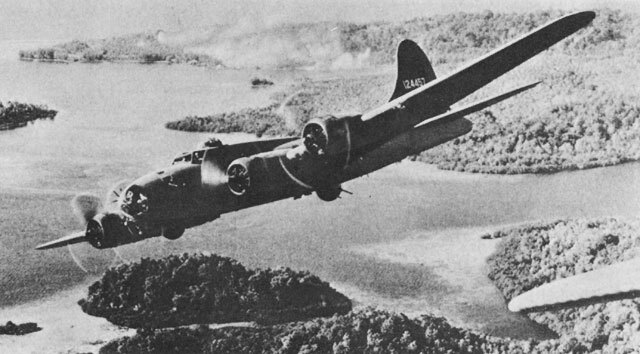 During the New Guinea campaign, B-17s flew against the Rabaul complex and other strategic targets. 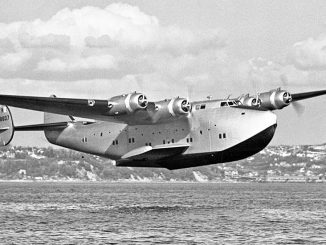 They were also used as long range reconnaissance aircraft. 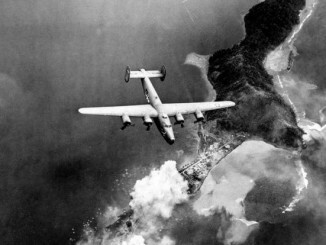 As the Consolidated B-24 had better endurance than the B-17 and could carry a larger bomb load, it began to replace the B-17 in service with the 5th Air Force in New Guinea. The Flying Fortress was largely withdrawn from bomb groups operating in the Pacific by mid-1943, but it continued to lead the line in the European Theatre until the end of the war.